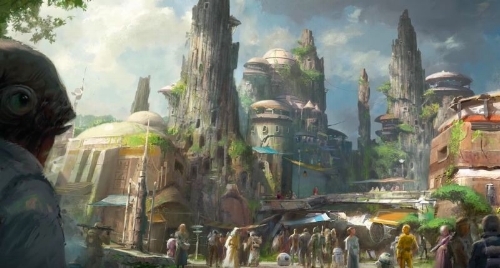 A galaxy far far away will soon be a little closer to home, as a video released yesterday on the Disney Parks Youtube page has revealed the official debut seasons of Star Wars land at both the Disneyland Resort in California the Disney World Resort park in Florida. The intergalactic themed expansions will open in Summer and Fall of 2019, respectively. Star Wars has had a presence at Disneyland since the late 80's, with the introduction of Star Tours. With the acquisition of LucasFilms in 2012, the franchise has brought more and more to the park, with fans hoping for an expansion of the park dedicated to Star Wars. That will at last be a reality next year, which means we'll probably need to wait two more years until we can visit it and be able to breath.